The sublime night sky over Chile’s Atacama Desert, as experienced by astronomers, peasants, cowboys, and miners, is the subject of Cielo. Alison McAlpine’s meditation on the heavens is a mystical paean to the otherworldly beauty of these skies and an inspiring vision of a universe that we both see and cannot see. 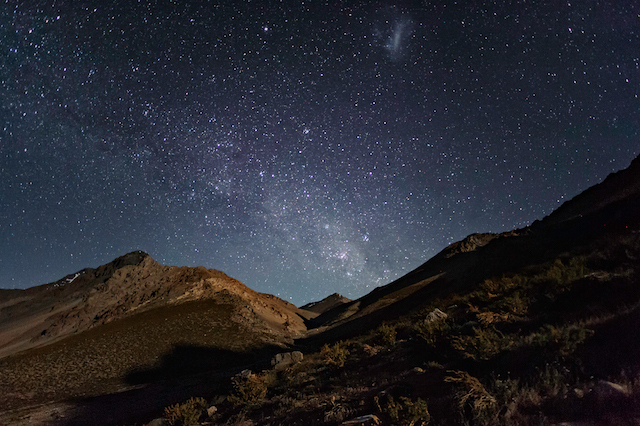 “Using time-lapse cameras…to create a visual symphony of the moon, stars, sun and clouds… these images have a transporting power that comes close to approximating what it must be like to actually stand in Atacama, gazing up in awe. Shooting stars fly by like paint slashed on a cosmic canvas… The Milky Way itself rotates through the heavens with breathtaking clarity.” – Keith Uhlich, The Hollywood Reporter.